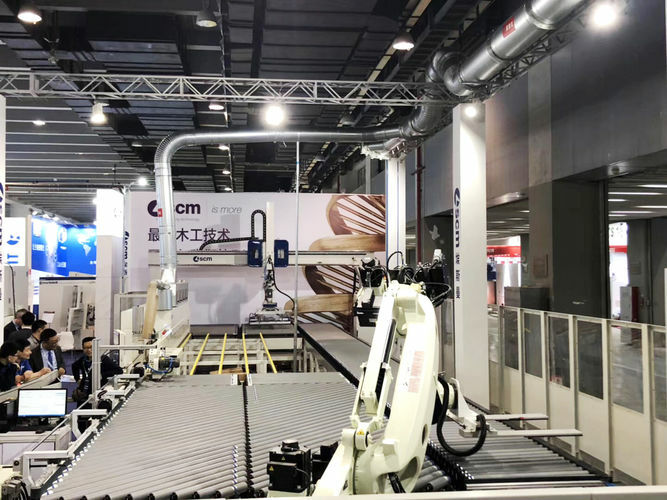 SCM plays a key role in the latest edition of Interzum Guangzhou 2019 with a selection of its wide range for the sector, unique at international level. The spotlight is on the latest developments in its “digital factory” and “bespoke” lines, confirming the Italian woodworking giant's status as an all-round partner and consultant for companies in need of cutting edge production processes, compatible with “mass customization”. The leading "ambassadors" of SCM automation at the trade fair were the edgebanding integrated cell Edge with robot handling equipment in order to feed, manage and perform sorting of furniture components and edgebanding Rocket Line equipped with two single-sided edge banding machines and interconnection / interlock automation, in order to allow a high volume mass customization production in the simplest way possible. Another star of the show is the morbidelli m100 “all in one” drilling and routing machining centre. Highly modular and with an unbeatable quality/price ratio, this is integrated with the Maestro connect IoT system, supporting the customer for ever-improving use of the machining centre thanks to precise monitoring and advanced analysis of all data from the machine. There was no shortage of solutions for solid wood either. The balestrini twister machining centre comes in a variety of configurations, allowing maximum productivity. 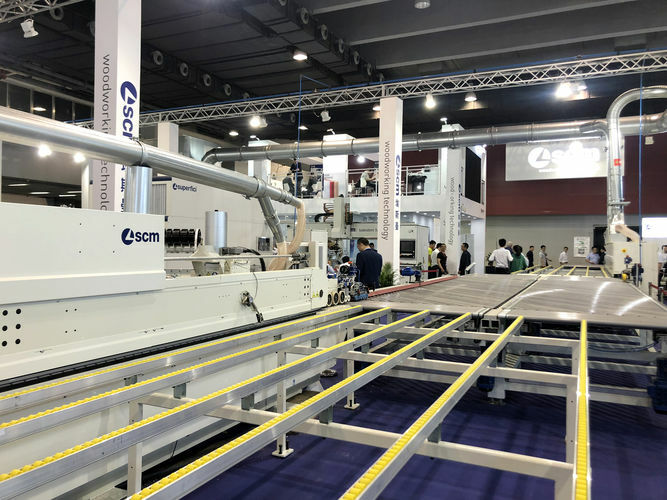 SCM's display at the trade fair was rounded off by high-tech solutions for surface treatment, such as the dmc euro system sanding machine, for excellent finish on both unprocessed and coated panels, and the Superfici compact 3 automatic spraying machine. Lastly, for your drilling needs, come and see the morbidelli cx200 for yourself. It's ideal for “batch 1” machining. 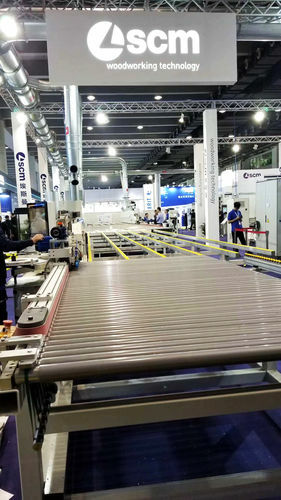 The strong reliability, solidity and innovative capacity of its technologies are not the only strong points with which SCM, one of the first Italian companies to invest in China, aims to strengthen its presence “in the shadow of the Great Wall of China”. Its other priorities include the continuous strengthening of the local sales network, investment in Engineering projects, to present itself as an all-round partner and consultant via a dedicated team, ready to develop complete projects for “turnkey” factories, and increasingly customised solutions, designed and developed in accordance with the specific needs of the Chinese market, which have, however, been engineered and produced in Italy.